OK, Lady A, consider yourself dumped. I spent a couple of days pondering it, the main question being: sure, it was good, but did I like it? Really, I knew the answer the first moment I tasted it. I’m glad I did (taste it, I mean), but really, I wouldn’t want to again. The final nail in Lady A’s coffin came last night, when I uncorked this, a wine that strives not simply for complexity, as if for its own sake, but for beauty. Without wishing to give myself away as some kind of vinous jonny-come-lately, I’ve not had a huge number of chenin blancs in my time. Indeed until this summer I had no idea of the heights that it can reach at such decent prices. But first the FMC, and now this … it’s a game-changer, really. The FMC cost £13.49 in the Waitrose sale, this £13.86, 37 pence between them. These are two prize fighters competing in the same division, punch for delicious, delicate punch: new world (that) v old (this); 15-year-old vines (this) v 35-year-old (that); honey and dried apricot (that) v searingly, tingly bright acidity (this, with 6.10g/l residual sugar v the FMC’s 12.8). Don’t ask me to judge between them, it’s like comparing The Hitchhiker’s Guide to the Galaxy with The Godfather Part II. They’re just amazing, both of them. But this one’s biodynamic, as well – she’s got the ethics as well as the looks. She’s a stunnah, true enough. More like this, please. Much more. 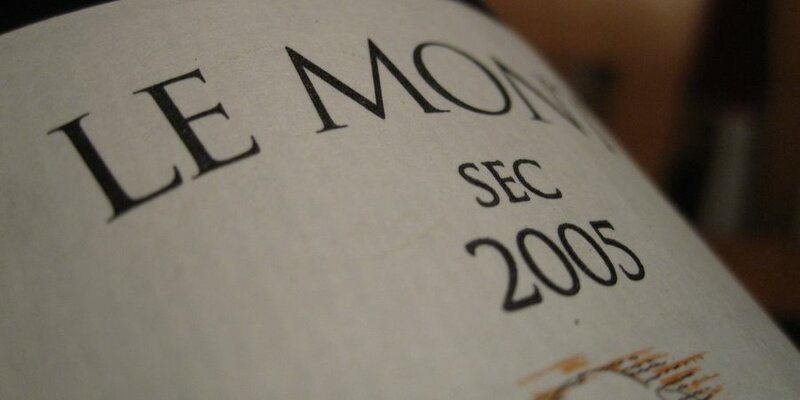 This entry was posted in Uncategorized and tagged chenin blanc, Domaine Huet, Le Mont Sec, Waitrose. Bookmark the permalink.